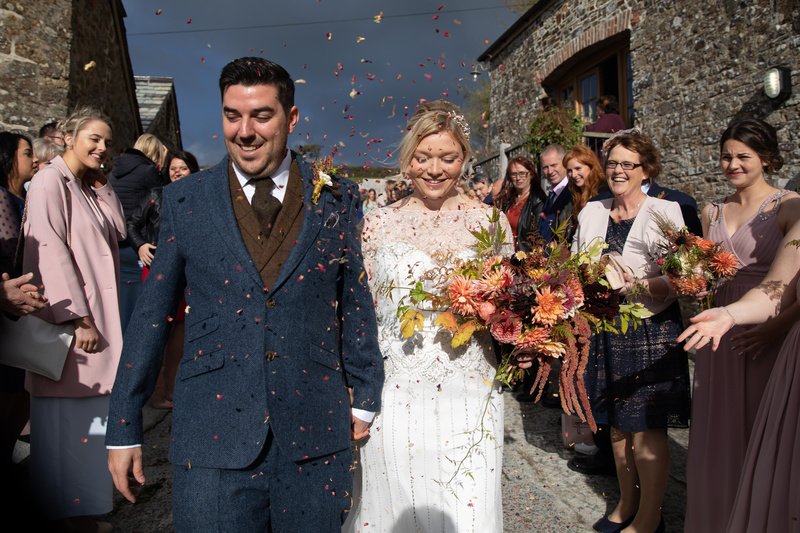 The last wedding of half term took us back to Launcells Barton where we started earlier in the week, back to Bude on the Devon/Cornwall border we returned. 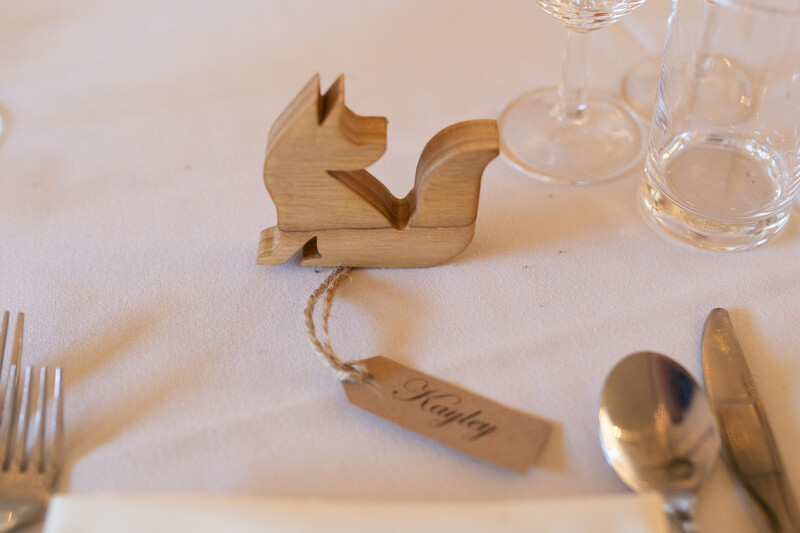 …and woodland animals for favours that Kayley’s dad had individually made, they looked great! 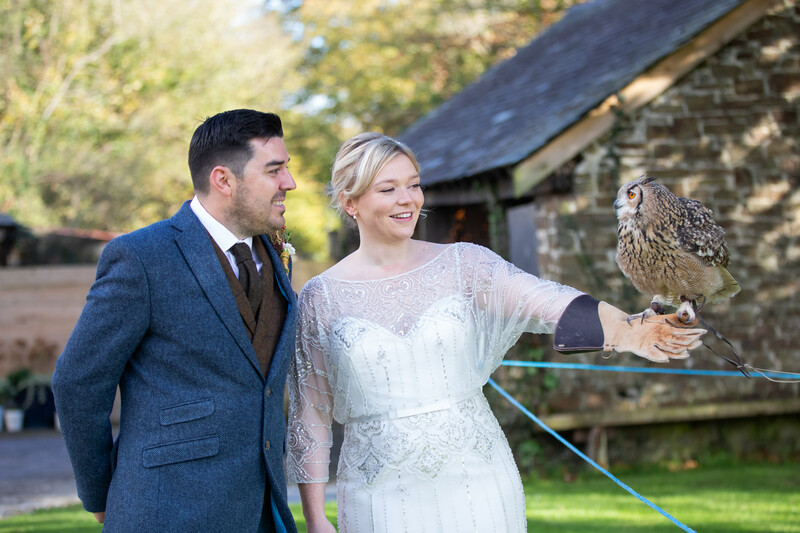 Kayley and Charley chose to marry in The Mill Barn at this wonderful venue and as the weather was dry they were able to enjoy drinks and our homemade canapes outside with their guests whilst they enjoyed a falconry display. 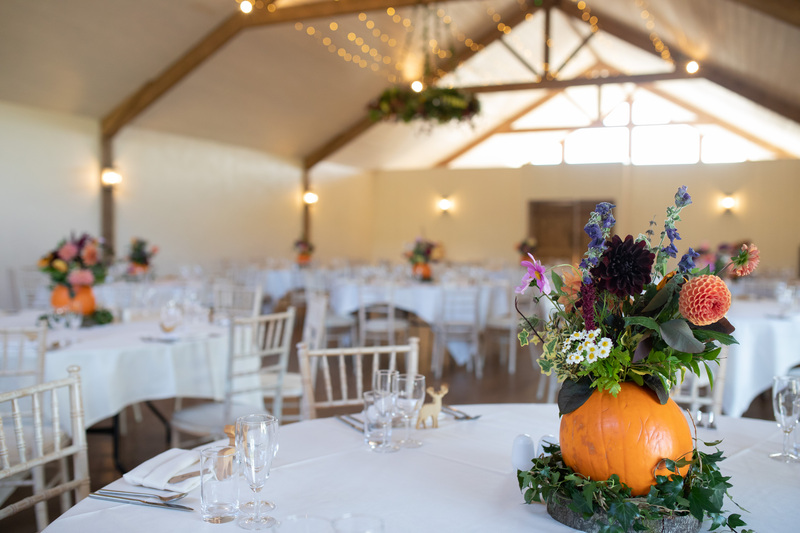 At 4.30 pm guests made their way into the main barn for the speeches, Kayley’s dad, Charley and the best man all provided great speeches before we served the Wedding Breakfast. Kayley and Charley wanted an informal meal which guests could share on their tables and tuck into, as it was October the couple wanted hot dishes which include Caroline’s own lamb, squash and apricot tagine, vegetable korma and beef bourgiugnon along with accompaniments of pilau rice, sauté potatoes and Mediterranean vegetables. For dessert the couple chose a trio of homemade tastes, which included a raspberry pavlova, sticky toffee pudding and crème brulee, this was followed with freshly brewed coffee and tea. 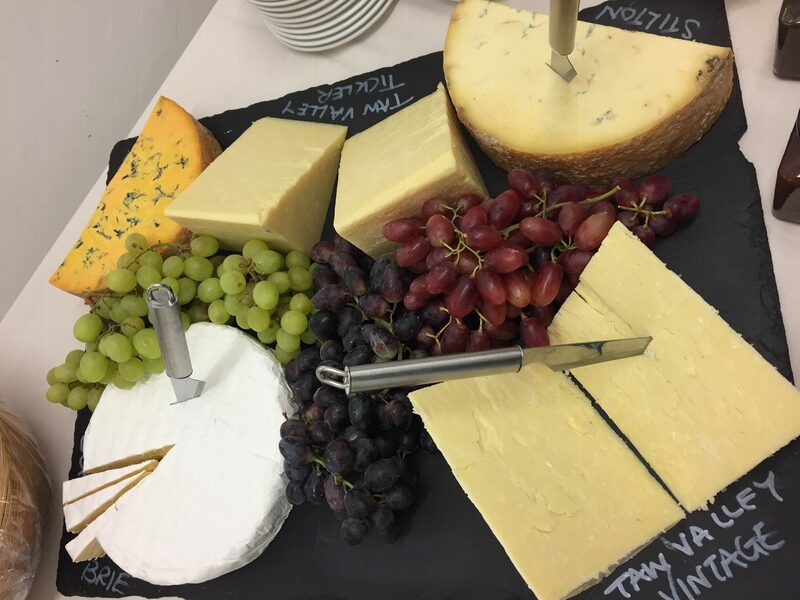 Once the barn venue was turned around ready for the evening reception the newly wed’s cut their wedding cake, which we cut and served, we also put Cornish pasties and a cheese board out for the guests to enjoy. The evening was full of dancing and celebrating and at 11pm we left them all to enjoy the rest of their day. 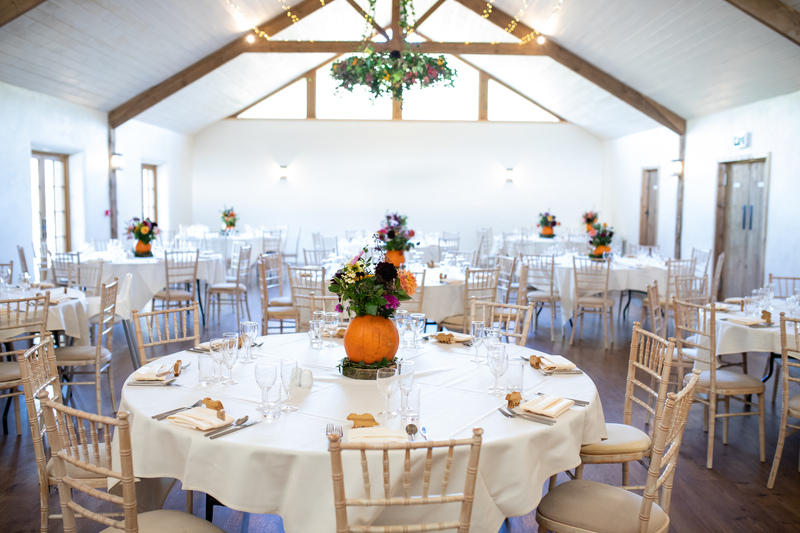 It was great to see the Evolve Photography team again this week and have included some of their photos of the bride and groom and the beautiful decorations. 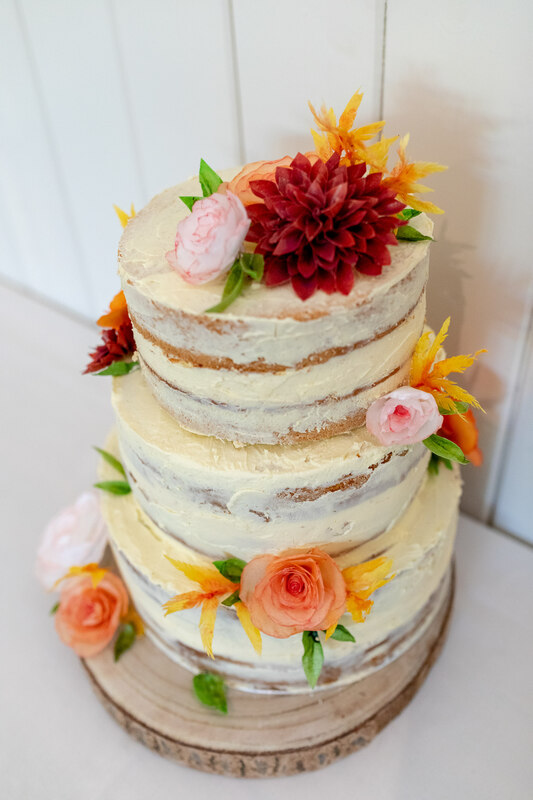 Many Congratulations again Kayley and Charley and thank you for choosing us to be a part of your day. 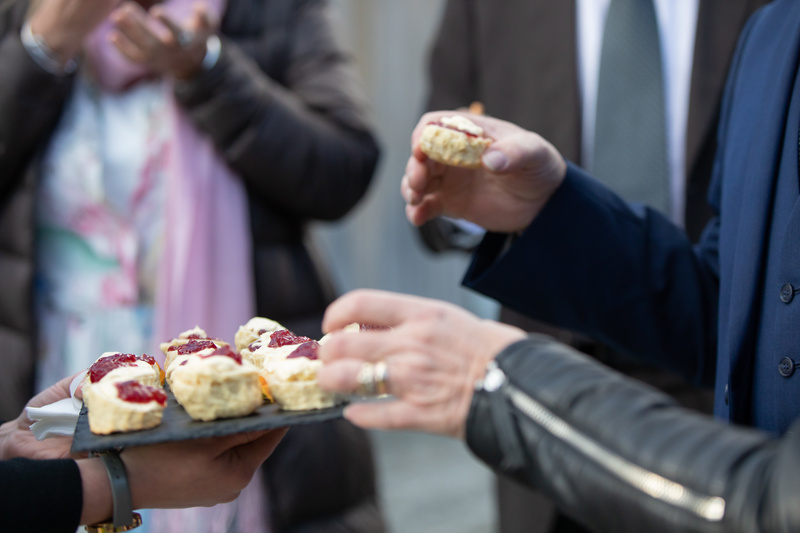 If you would like more information on weddings, corporate events, business dinners, elopement meals or parties call us now on 01837 55841, we would be glad to offer any help.